“Speak UP” is relevant, concise and easy to recall. Consensus was that this shorthand moniker would have growing — and staying — power. “Speak UP” is a powerful call to action. As responsibly engaged global citizens, we can’t be silent; we must all find and share our voice to affect positive change. “Speak” isn’t limited to our physical voice; it’s how we express ourselves and engage others through social media posts, art, music, dance, video, writings, research, etc. It’s the ability to also “Speak UP” for those who are unable to speak for themselves, especially those who are marginalized, victims of wrongdoing, or neglect; it's about speaking up for justice, integrity, and equality. “Unifying” is an inclusive term with important meaning. An effective presentation should adroitly integrate the most impactful communication tools and form(s) of expression. At the same time, effective presentation includes, connects, and engages people of diverse backgrounds and perspectives. “UP” is also a word with additional positive associations. In addition to its acronym relevance, “UP” can be used to indicate and encourage taking presentations to the next level in terms of intellectual depth, engagement, and to raise the profile of important conversations. In summation: "Speak UP” is a motivating call to action. It conveys the critical importance of leveraging the full breadth and power of our communication skills and tools to help create a more inclusive, connected world. Identifying, developing, and sharing voices in such a purposeful, inclusive way is one of the best ways our students can be engaged in changing lives — for good. Speak UP is Guilford's latest Quality Enhancement Plan — or QEP. The concept of quality enhancement is central to the Southern Association of Colleges and Schools (SACS) Commission on Colleges’ (COC) reaffirmation of accreditation process. All colleges seeking reaffirmation are required to develop a QEP as part of a community engaged effort to identify a focused plan to address one or more issues that would support institutional improvement through the enhancement of student learning.  Guilford is investing in faculty, resources and support services to ensure the success of our QEP. Speak UP will help the College further its academic principles, support its strategic priorities and fulfill its mission to provide a “transformative, practical and excellent liberal arts education that produces critical thinkers in an inclusive, diverse environment.” Speak UP will engage students with intellectual content and deepen their learning experience as it challenges them to consider inclusiveness for accommodating the needs of diverse constituencies. The goal of Speak UP is to improve students' performance and attitudes about public presentation as vital to effective public discourse. The learning outcomes related to public presentation competency include: 1) Performance: Students will demonstrate “performance” competency, as evidenced by a public presentation and 2) Attitudes: Students will demonstrate improved “attitudes” toward public presentations. How is Guilford speaking up? Students explain the College's Quality Enhancement Plan — and how it's preparing them for success after graduation. Students will benefit significantly from Speak UP: Unifying Presentation for an Inclusive, Connected World. Fundamentally, it is a natural extension of the 2006 Writing in the Disciplines QEP. The plan is designed to help students further develop their communication skills by deepening their understanding of the multifaceted nature of public discourse as this applies specifically to public presentation. The essential benefit of this program is that students will learn to be more confident, professional, and knowledgeable as they share ideas within their disciplinary community, demonstrate their content knowledge beyond their discipline, and as they prepare for their careers. They will develop essential skills sets for the 21st-century work environment that are sought by employers, requiring both effective and persuasive interpersonal communication and the successful application of digital media competencies. 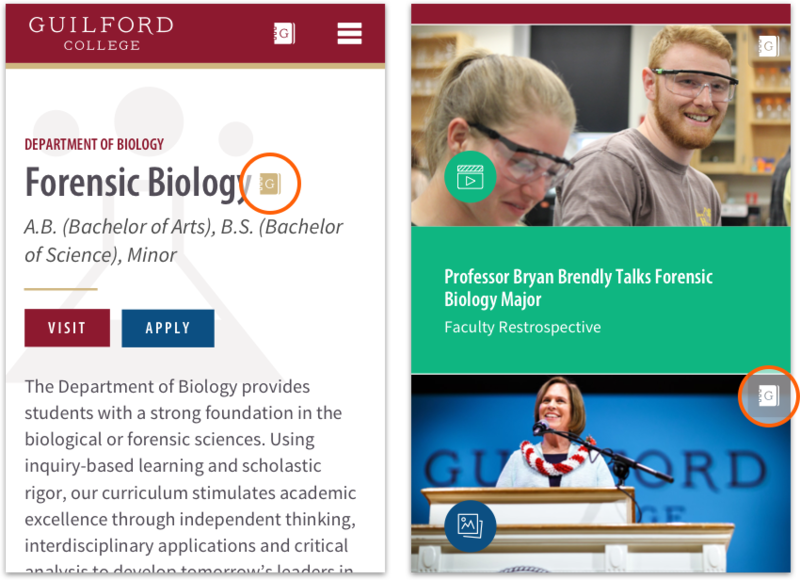 Students will have multiple opportunities to learn, practice, and execute public presentation as they develop through the emerging general education curriculum (“The Guilford Experience”). 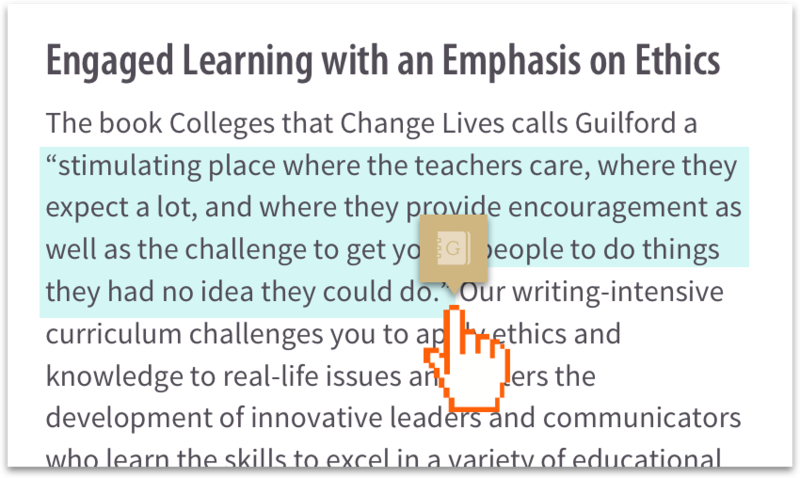 In fact, all current new initiatives — encompassing general education revision, Speak UP, and Hege Library’s Academic Commons vision — are intentionally collaborative and coordinated. Moreover, the Bonner Center and Center for Principled Problem Solving demonstrate institutional commitment to furthering Quaker principles emphasizing social justice. Professional development of faculty and staff is integral to the success of Speak UP. Faculty will have the opportunity to participate in summer workshops and other training opportunities to learn best practices of integrating public presentations into their This will improve systems and processes within the College as a whole. To ensure the sustainability of Speak UP, faculty and educational support professionals within Hege Library’s Academic Commons will be involved in workshops and training sessions for purposes of strengthening the collaborative educational support model. This will encourage faculty and support staff in the exploration of new pedagogical techniques and technologies, not only to enhance student engagement in public presentation, but also to develop faculty knowledge and expertise in inclusive public discourse.